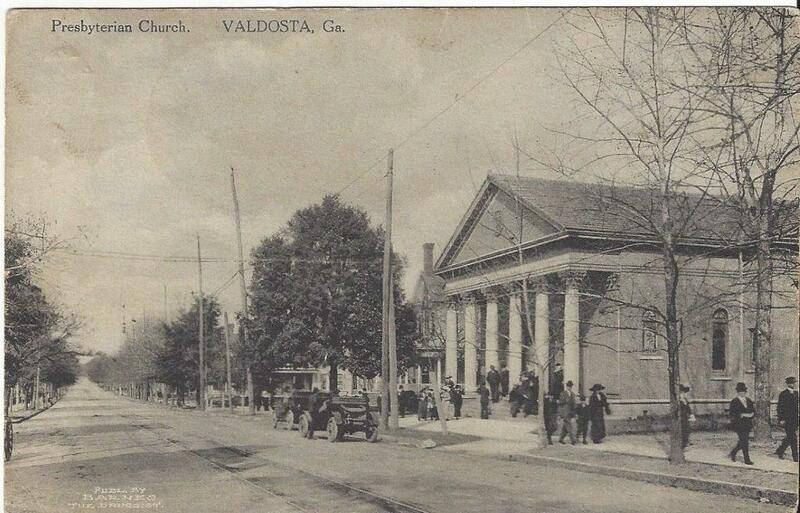 FPC Valdosta has a long, rich history. In the 1700s, Presbyterians from Dorchester, South Carolina, and Darien, Georgia, relocated to Midway, Georgia. Members were nominally Congregational in thought but mostly Presbyterian in belief and government. Avoiding the Civil War, Midway people moved to undeveloped Lowndes County to become Valdosta’s earliest Presbyterians. Presbyterian minister, Rev. Eli Graves, from Quitman served as the first pastor. 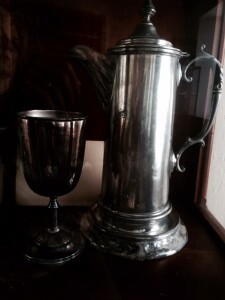 On December 3, 1864, the church was organized after sixteen persons petitioned the Florida Presbytery for membership. In 1865, Professor Samuel Varnedoe helped finance this church's building. After outgrowing their second building, the cornerstone was laid for the present structure in 1907. Later, adjoining property was purchased. In 1958, the Fellowship Hall was erected with the Centennial Building (office and class rooms) constructed in 1964. 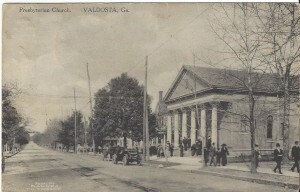 FPC Valdosta helped start 3 other local congregations in the area: West End (1943), Twin Lakes (1945), and Trinity (1985). From its beginning, FPC led Sunday Schools around the county, bi-racial Vacation Bible Schools as early as 1927, and supported missions in China, Malaysia and Africa. The Thornwell Home for Children, Rabun Gap Nacoochee School, the Medical Benevolence Foundation. Presbyterian Homes of Georgia, the Break Bread Together project and the Father Daughter Dance have been long-standing missions of FPC.